Come and tour this incredible Classic Home by Mariott backing up to a heavily wooded view! The designer upgrades & custom picks through out are sure to wow you. 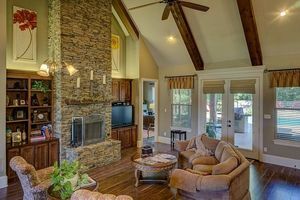 Game room, study, large utility, and open concept layout are just a few of our favorite things. Available for you to enjoy today!